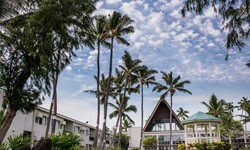 Maui Beach Hotel - Wedding Venue and Packages | The Future Mrs.
SAY YOUR VOWS IN OUR SEASIDE GARDEN COURTYARD Planning a destination wedding on Maui? Your special day deserves a special oceanfront setting. 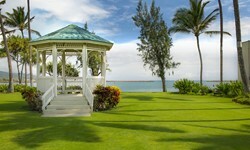 We’d love to host your wedding festivities and guests at Maui Beach Hotel. Say your vows at our wedding gazebo in our lush garden courtyard looking out to the ocean, then host your wedding reception in our spacious ballroom. We offer full-service catering and a professional staff who will work with you to create every detail of your dream wedding. As an added bonus, we also offer exclusive wedding discounts on rooms for you and your guests.